Sky Gamblers: Storm Raiders is a World War II arcade-style combat game in which players participate in dogfights, protect fleets of ships, and attack enemy bases, and features a wide variety of single and multiplayer options where players take control of a large inventory of accurately-rendered aircraft. This app’s impressive, Retina-enabled, AirPlay-enabled, graphics and sound design look awesome on the Mac. Amazing OpenGL based visuals and special effects including specular masks, bump mapping, atmospheric scattering, volumetric clouds, sun glare, day & night transitions, HDR rendering, radial blur, heat haze, refractive raindrops, and much more, with accurately recreated locations, realistic weather and interactive cockpits. Extensive cross-platform Game Center support mean challenges and real-time multi-player missions Mac versus Mac or Mac versus iOS. 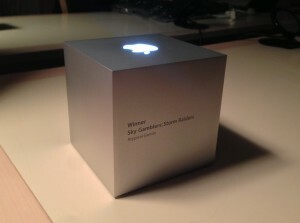 To view the official post, visit Apple’s WWDC 2013 Apple Design Awards page. Founded by a group of passionate video game developers, Atypical Games is a California based company with a fresh take on publishing. Bringing the focus back to the player’s experience and the true values of game design, Atypical promises to bring to the public games of the highest quality and great value. 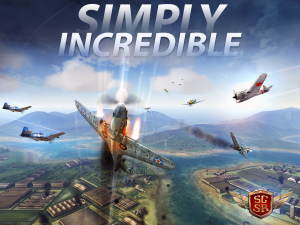 Atypical’s developers are the makers of Sky Gamblers™: Air Supremacy and are considered the premier maker of combat flight games for mobile devices.